Aggressive look and bold shapes. The spirit of the Monster echoes in the exclusive graphics of the melange gray T-shirt. The simple forms of the motorbike portrayed from above blend with the traditional Ducati lettering, giving life to a captivating combination. 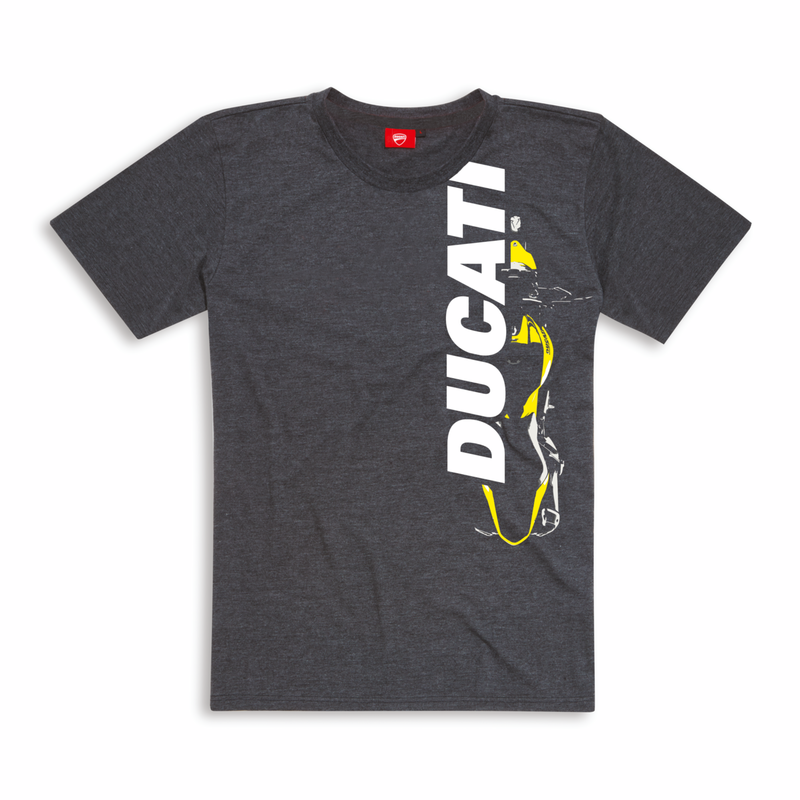 For the Ducatista with a sophisticated taste.